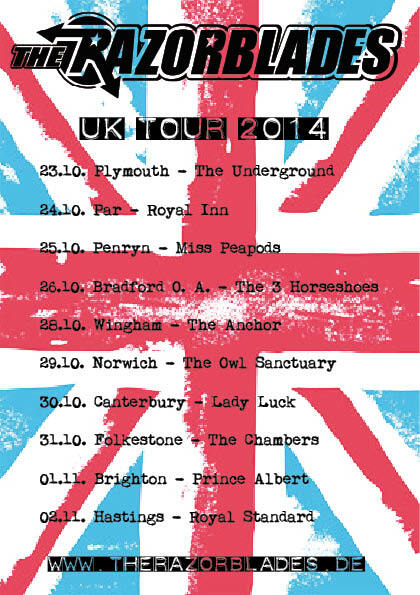 UK TOUR 2014 | ..:: The Razorblades ::..
Only a few days and we’re leaving home for our annual tour of the UK. 10 days of Rock & Roll are awaiting us and we’re looking forward to see all our friends again, have an English breakfast everyday, drink some ale and do some serious shopping in Brighton! Besides that we’ll do what we do best: Play some music for cool people and travel the world doing what we love. We prepared a few special songs for our english audience, so be excited!